To date, vaccination is the most effective way to prevent many viral infections and diseases in children and adults. However, even if the person is vaccinated, the likelihood of infectious disease remains. Each state has a specific schedule of immunizations approved by the relevant authority. Parents need to schedule vaccinations and also noted the reaction of a baby to a particular vaccine. This can be useful if the child gets in a hospital away from home. 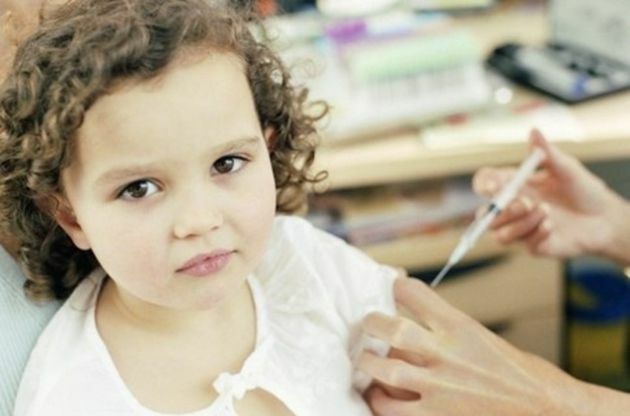 The benefits of vaccination for children. Vaccinations will be more effective if they are done in prescribed time. The immunization schedule is reviewed periodically, adjustments are made depending on the epidemiological situation, availability of necessary vaccines and other factors. • proper vaccination of medical workers. If the child is not healthy, ask your doctor how and when to be vaccinated. In turn, the pediatrician should provide clear instructions to parents on preparing the child to the vaccination, and what steps are carried out after introduction of the vaccine. - loss of consciousness etc. 1. Not to introduce new foods into your baby's diet before inoculation. 2. To measure body temperature, to assess the overall condition of the baby. 3. Minimize the child's contact with people for several days prior to vaccination and after vaccination. 4. Monitor the health and well-being of the child before and after vaccination. 5. Remember, the child's reaction to the vaccine depends largely on the care and upbringing of the baby. Today, almost all new parents ask the question: to do or not to vaccinate the child? The experts – healthy child vaccination should be done for sure!